CHICAGO, IL--(Marketwired - Mar 20, 2014) - Dr. Beth Phillpotts provides excellent family health care and now has immediate appointments available at her new location at 9000 South Stony Island Avenue in Chicago, Illinois 60617. You can reach her office by calling 773.731.0670. 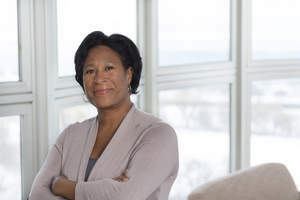 "I always do my best to relate to my patients and answer any questions or concerns they may have," said Dr. Phillpotts, who is also on the medical staff at Presence Saint Joseph Hospital in Chicago. Beth Phillpotts, MD is board certified in family medicine and earned her medical degree from the University of Illinois College of Medicine. She focuses not just on the patient, but on the entire family. Dr. Phillpotts places an emphasis on wellness and prevention, striving to keep a happy, healthy patient. Patients can call 773.731.0670 or visit her Presence Health profile to learn more and schedule an appointment. About Presence Medical Group: A physician-led and patient-focused medical group representing a broad spectrum of primary and specialty care, Presence Medical Group provides accessible, quality care throughout the state of Illinois. Presence Medical Group is part of Presence Health, created by the merger of Provena Health and Resurrection Health Care. To find a Presence Medical Group physician near you, call 855-737-DOCS (855.737.3627).